MyFitFuel is now trusted by 1,00,000+ Happy Customers. MyFitFuel helps you to buy best whey protein concentrate online in India at best price. MFF Whey Protein 80™ is made up of a very high quality tested 80% concentrate protein available in the market. With highest biological value (BV) of any other known protein, MFF Whey Protein 80™ provides excellent essential and non-essential amino acids profile including high source of 5.2g BCAA. MyFitFuel whey protein 80 is highly rich in Glutamine (3.8g) and also contains the vital nutrients which shuttle down on the muscles rapidly for the optimal results. MFF Whey Protein 80™ being very low in carbohydrate and fat makes it the perfect choice for the lean muscles growth and muscle recovery. This Protein Powder mixes very easily which helps in giving a very smooth protein textured & tempting flavoured protein shake. Flavor- Unflavored provides - ● 26.4 gm (Dry Basis) & 24.3gm (As is basis) Protein and 5.4 gm BCAA & 4 gm Glutamine. Flavor- Vanilla Crème provides - ● 26 gm (Dry Basis) & 24 gm (As is basis) Protein and 5.4 gm BCAA & 4 gm Glutamine. Flavor - Coffee Caramel provides - ● 25.3 gm (Dry Basis) & 23.5 gm (As is basis) Protein and 5.3 gm BCAA & 3.9 gm Glutamine. Flavor- Rich Chocolate Delight provides- ● 23.5 gm (Dry Basis) & 21.7 gm (As is basis) Protein, and 4.9 gm BCAA & 3.6 gm Glutamine. Flavor- Chocolate Caramel provides- ● 24.2 gm (Dry Basis) & 22.6 gm (As is basis) Protein, and 5.1 gm BCAA & 3.8 gm Glutamine. At MyFitFuel we always bring 100% transparency in the Sports & Fitness Nutrition Industry in India. We aim to always help you achieve better Sports & Fitness Goals. 1. MyFitFuel Premium Whey Protein concentrate 80% Benefits and how it will help your training? 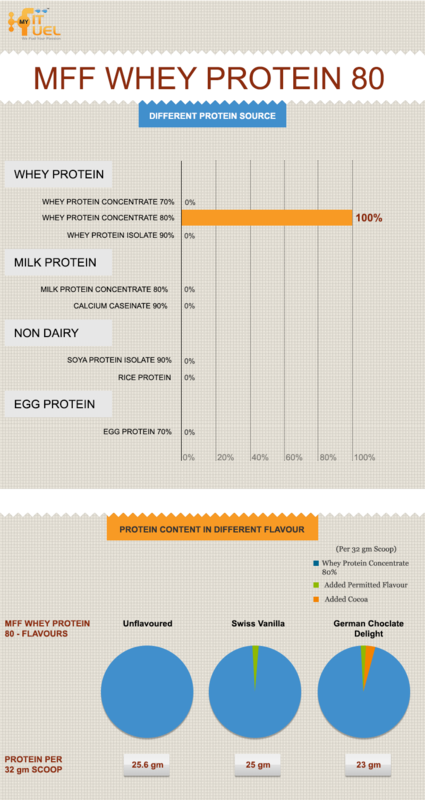 There are many Whey Protein concentrate benefits. This Protein is very high source of BCAA (branched chain amino acids) & Glutamic acid. BCAA’s are directly linked to protein synthesis of our muscles which help’s our targeted muscles by reducing the muscle breakdown, and encouraging muscle growth and repair. This helps our body to recover from broken tissues quickly and build muscles more effectively. 2. Does timing matters? Is there any best time to take Whey protein concentrate 80 Protein Powder? Right timing is an important factor while taking MFF Whey Protein 80. It is always important to calculate the right actual amount of daily required protein and then divide the total requirement with different timings of intake. MFF whey protein is one of the best choices for pre and post workout and for the first thing in the morning. Whey protein if taken post workout within 30-45 minutes actually helps to increase nutrient delivery and glycogen replenishment. Increasing the overall muscles ratio in the body not only just helps to you have more stronger muscles but it also helps to increase the metabolism of the body which indirectly helps to reduce the extra deposited fat in the body i.e helps in overall weight loss. 3. What is MyFitFuel Premium Whey Protein Concentrate 80 Protein Powder and how is it made? There is a common question about what is whey protein made of? Whey protein is a source of high quality protein which is naturally present in cow/buffalo milk. Milk freshly collected from buffalo/cows in the dairy farm is usually further transported to manufacturing & processing center and is always tested to ensure the quality is right. Whey is one of the two major protein found in cow’s milk (whey protein accounts 20% percentage of protein found in raw milk rest 80% is casein). When certain enzymes are added to milk, Whey protein while making cheese is separated during the process causing it to separate out into two parts liquid (Whey Protein) and Curd (Casein). This liquid is then pasteurized and dried into powdered high quality whey protein concentrate which mixes instantly. During this process there are different compositions made from 30% protein to 90% protein. In pure Whey Protein, lactose ingredient percentage is determined by the percentage of protein for example lactose in whey protein concentrate reduces as the concentration of protein increases from 70% to 80% to 90% protein per 100gm. MyFitFuel Whey protein concentrate provides a huge range of flavors from Rich chocolate protein powder, vanilla protein powder to Unflavoured whey protein concentrate. Other flavors available with us includes Chocolate Caramel, Chocolate Banana, Banana Cream, Coffee Caramel, Café Mocha. MyFitFuel Best Whey Protein Concentrate is available in many sizes including 250gm, 500gm, 1kg, 2kg, 3kg, 4kg, and 5kg. These variants bring an option to choose as per your convenience. Educating our customers is always our priority. 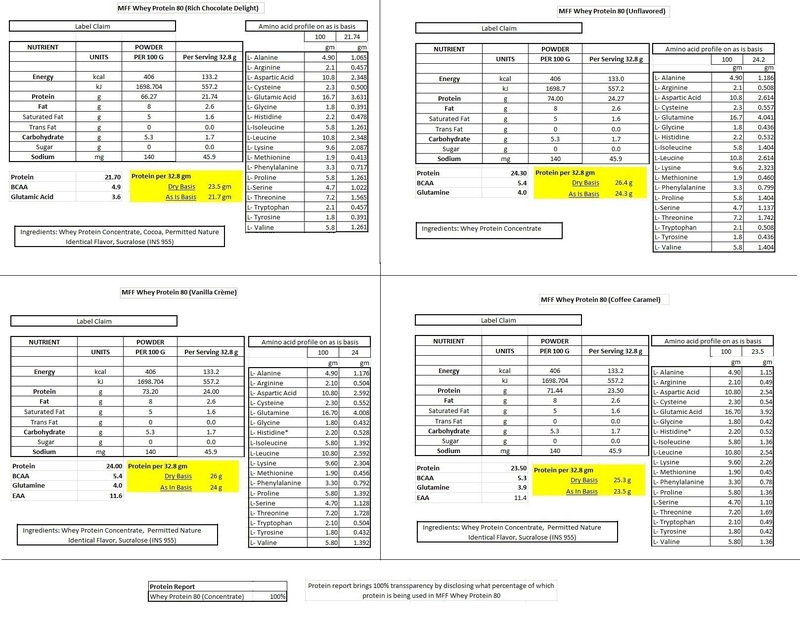 Like in Sports & Fitness Nutrition market in India, MyFitFuel was the first one to bring 100% Transparency and in the similar way MyFitFuel was the first to bring better education for our customer when it comes to knowing the difference between Protein “Dry basis” vs “As in Basis” calculations. 5. How MyFitFuel helps you to Buy Best Whey Protein concentrate online in India at Best Price? Consistency- Consistency in the every batch quality is very important for us. We take every measure from beginning to end to provide you the same nutrition quality and best flavor protein shake every time. Transparency- We believe it’s your right to learn about the products actual benefits and its worth before you buy the best whey protein in India at the best price. 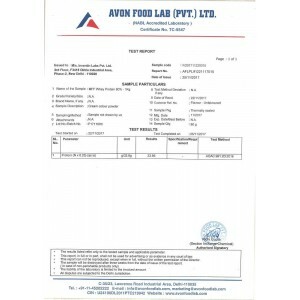 Many companies write just “whey protein concentrate” but there are different kinds with different whey protein concentrate price in India and percentage starting from 30% protein per 100gm. So you will never be disclosed the right percentage of which protein is used, helping them to hide the actual worth and true benefits of the product. We provide complete detailed information in our “Protein Insight” tab on the product page by telling you which protein concentrate we use. 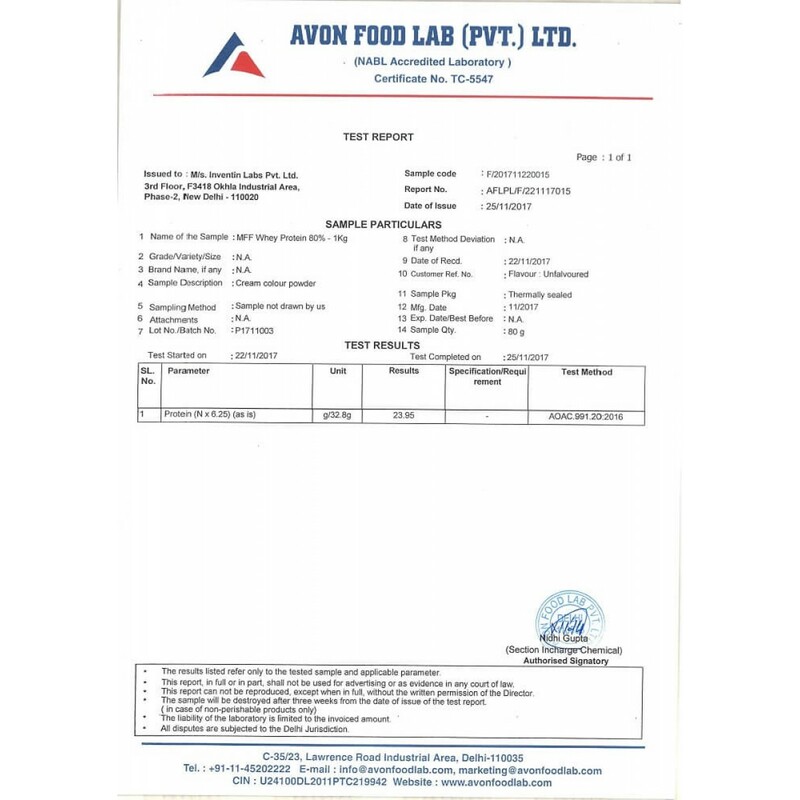 Certificate of Analysis- To bring 100% transparency we at MyFitFuel always back our protein product by publishing Certificate of analysis of the kind of proteins used to make our product. For an advance variant of Whey Protein Concentrate 80%, you can also try our new researched Advance Whey Protein 80 with added Digezyme®(advance technology Gluten Free & GMO Free Multi Enzyme Blend including amylase, lactase, cellulase, lipase and protease) , 22 important Vitamins and Minerals. MFF Creatine Monohydrate 200 mesh- Pure & Finest quality 200 mesh particle size creatine which helps in to maximize strength and power for high intensity workout. MFF BCAA 5000 – 2:1:1 BCAA with more Leucine almost 2500mg per serving. BCAA encourages overall muscle growth, muscle recovery & prevents muscle breakdown. Pour approx 150-200ml of water in a good blender such as MFF™ Blender and add 1 scoop of MFF Whey Protein 80™. Shake it for 15-20 seconds and consume immediately. Use less liquid for stronger and thicker tasting taste. Depending on your goals, for muscle gain ,we recommend to take 2-5 servings daily to complete your required protein intake. To promote lean muscles, expert suggest 1g of protein per pound body weight everyday (2.2g per kg of body weight everyday) consumed during different time of the day. Few people like to train in morning and few people like to train in the evening, we recommend the following important serving times of MFF whey protein 80. --> Immediately upon walking up [I.e as soon as you get up]. --> Pre Workout- 30-45 minutes before workout . --> Post Workout- Immediately after you completed your work out. --> Any other time of the day or in even in between meals when you think you require additional protein intake. Benefits of taking with Water- Taking this protein with water can help you to achieve better Lean Muscles and can also reduce the overall calorie intake. Any individual following the weight loss regime with restricted calories intake can also take this protein with water. Benefits of taking this protein with toned or double toned milk- Adding milk instead of water with this protein can help to make this shake creamier & thicker. But an additional 250 ml of toned milk added will also add almost extra 150 calories in every shake you consume. So, protein shake with milk is recommened if you are looking to increase weight along with muscles. INGREDIENTS : Protein World Vegan Protein Blend® (Pea Protein, Quinoa Protein, Hemp Protein), Xylitol, Inulin, Natural flavourings, Protein World Vitamin & Mineral Blend® (magnesium oxide, potassium chloride, ascorbic acid, mixed natural tocopherols, zinc gluconate, ferrous fumarate, vitamin K2-menaquinone, molybdenum chelate, manganese gluconate, beta carotene, cupric gluconate, nicotinamide, calcium d-pantothenate, pyridoxine hydro-chloride, thiamin hydrochloride, riboflavin, cholecalciferol, methylcobalamin, chromium picolinate, folic acid, potassium iodide, sodium selenite, d-biotin), Salt, Stevia, Xanthan Gum, Protein World Thermogenic Blend® [Guarana Extract (22% caffeine) & Green Tea Extract (40% polyphenols)], Protein World Probiotic Blend® (Bifidobacterium Bifidum, Lactobacillus Acidophillus). So as to provide better knowledge, we have written detailed research about protein in- Protein University. But still we have answered few more questions for you. If you have any more questions please feel free to reach to our support. 1. 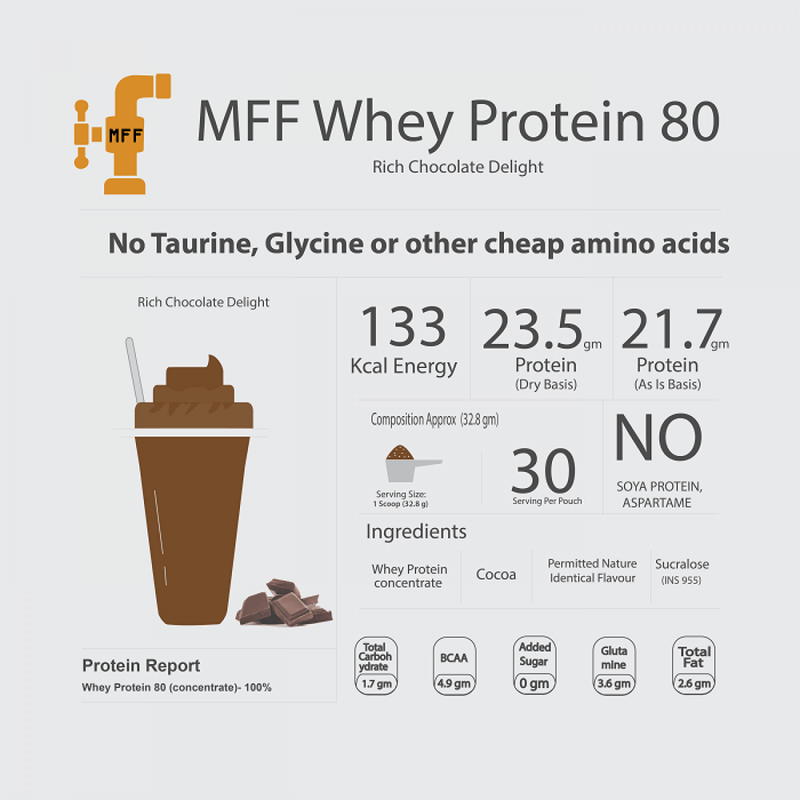 How does MFF Whey Protein 80™ actually work or help? Every scoop of MyFitFuel MFF whey protein 80 (concentrate) contains 80% dry basis protein and almost 74%-78% As is basis protein per scoop. This helps different individuals including athletes, bodybuilders doing bodybuilding at different levels and other professional sports players to repair to make strong and grow their broken muscles tissues. Another 20% of every scoop of protein contains naturally occurring lactose, small ratio of Fat and other natural vitamins and minerals which helps to fulfills the lost required nutrients during workout. So the combination of protein along with other required nutrients helps our muscles in body to recover better and faster specially during post workout period. 2. What is the best time to take MFF Whey Protein 80™? Timing of consumption is dependent on person workout timings and few more factors. We recommend following timings as below where you can choose according to the time of your workout. --> Immediately upon walking up. --> Immediately after you work out. --> In between meals when you require additional protein intake. 3. What are the benefits of taking MyFitFuel MFF Whey Protein 80? Protein is a combination of amino acids which plays important role of repairing and re-growth of your muscles tissues in about body. So as to increase the muscle mass strength, bodybuilders or athletes needs complete protein. Due to over training or high intensity training athletes such as endurance athletes need protein for muscular repair. Ultimately everyone needs need protein to help them cope with the heavy training and growing competition demand Better muscles helps to compete better. 4. Is this product suitable for vegetarians? Yes, Whey protein is made from pure cow/buffalo milk and it is considered as a veg (vegetarian) source of protein. 5. How can I tell looking at protein if protein I use is of good quality or not? Many companies purposely claim something different from what’s actually there inside there packet but for the same purpose in our “Protein Report” Section we at MyFitFuel always declare about which type of proteins are there inside (nothing hidden) and in what quantity. One of the basic key thing which every individual look for is the amount of protein which is declared on the label. Protein should be quiet easy to mix in shaker and with little froth. And of course the ultimate way to know is from the results you get from taking the product. 6. Can I consume this product with any other supplement? Yes, you can consume it with any other supplement as per your requirement. The most commonly supplements which are taken along are Creatine, BCAA (Branched Chain Amino Acids) and -Glutamine. We always recommend you to check the serving size instructions on each product in combination you plan to consume along. 7. How can I make perfect tasty whey protein shake with this MyFitFuel Whey Protein? Making perfect protein shake is quiet easy. With only few simple steps you can follow to get the perfect shake. First you need a good blender like MyFitFuel MFF™ Blender, pour approx. 150-250ml of liquid (water or milk) in the blender. Adding milk instead of water helps to bring creamier shake. Water usually helps you to avoid intake of extra fat that comes from milk naturally. In next, add one scoop of MyFitFuel protein into the shaker and shake it for 10-20 seconds. That’s Easy isn’t it… Just follow these few basic principles and a perfect yummy tasting shake will be ready for you. 8. What kind of effects can I expect from consumption of MFF Whey protein 80 during everyday my training routine? Our whey protein concentrate is made from very high and pure quality source of ingredients. It provides a very high level of protein ratio in every scoop. Actual results vary on every individual as as every individual have different body type, diet requirement, nutrition and training requirement and goals. For n professional athlete or bodybuilders whey protein can help them to reduce the overall muscle breakdown, improve muscle recovery time and can repair the broken muscles tissues faster after intense post workout. 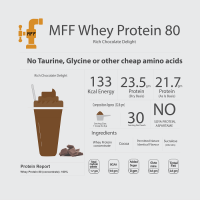 9. Who all can consume MFF Whey Protein 80™? MyFitFuel products are meant for individuals who are into different fitness and sports activities or bodybuilding as professional or for lifestyle. We always keep our products information very transparent so that customers can always learn about the product they are buying. We have summarized few of the individuals who can take benefit. Includes. 10. 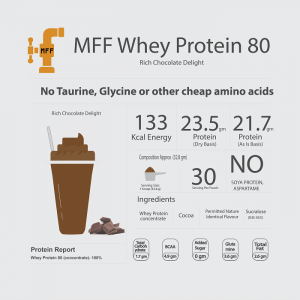 How much MFF Whey Protein 80™ should I consume everyday? Daily protein requirements depends on many factors such as sports activity, intensity of workout, and your personal needs. Usually it is recommended to consume approx. 2-5 servings per day. You can read our complete Protein Research details here on “Protein University” which is Section of “knowledge Hut”. 11. Are there any side effects of taking Whey Protein Concentrate by MyFitFuel? Whey protein is a product made from fresh cow milk. As they are from the milk source, there are no side effects as such of taking Whey protein. If you are not restricted to any kind of dairy source products or if you are not allergic to kind of dairy products due to a medical reason, then this product will be completely suitable. We request you to consult your doctor before consuming whey protein or milk source protein if you are allergic to dairy proteins. 12. What is MyFitFuel MFF Whey Protein 1kg concentrate price in India? MFF Whey Protein 1kg is usually sold from Rs 1300- Rs 1400. Final sale prices usually vary from time to time. 1Kg of this protein powder serves you 30 servings. You can always signup with us and we will always keep you updated with the deals and pricing. Our 1Kg whey protein concentrate price is always very competitive as compared to other products available in the market. We save different types of costs such as no intermediate, to shipping directly and selling in strong resealable pouches which reduces shipping cost. This all saved costs during this process is passed on to you as a benefit. This helps us to bring high quality products at very competitive pricing. 13. What are different variants of this product available, such as Whey Protein in 2Kg, 3Kg or 5Kg? Yes, we have multiple flavors and sizes available with us. Apart from Whey Protein 1 Kg we have different flavors and size available example MFF Whey Protein 2Kg, MFF Whey Protein 3kg and also 5Kg Whey Protein. We also bring different flavors in our hands such for 5kg protein powder or other size includes Rich Chocolate, Vanilla Crème, Chocolate Caramel, Café Mocha, Coffee Caramel, Banana Crème etc. 14. How come this Product Price is very competitive than other products in the market? We make sure that you get 100% genuine and high quality product in your hands. Most of our ingredients are imported and we only ship directly to you with no intermediated in between. 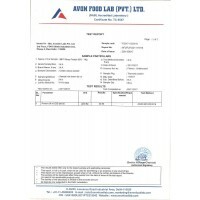 This saves us the cost, We manufacture the finished product in India but most of the ingredients are imported which saved import duties as buying finished products is more expensive. But we make sure you get the same high quality product with better results. We sell in strong resealable pouches which saved the cost and also saved the shipping costs. We forward these benefits to you. So there are many such ways where wasteful costs are removed and benefits are passed to you. When you buy in Bulk we further reduce the costs example whey protein powder 5kg price will be always cheaper on our website than 1kg whey protein price.